Home/Guestbook/Fleming family at Selingan Island! Just a quick note to let you know we arrived safely back from Sandakan last night. We had the most incredible time during our stay in Sandakan and on the tour. We could not have asked for anything better. Each of the guides who looked after us (Andre (Turtle Island), Muss (Sepilok & Kinabatangan), Robert (Gomantong) & Peter (driver)) were excellent and a great source of information. Both accommodation locations, although reasonably basic, were very comfortable and clean and the standard of food provided was very good. We all came away feeling like we had a 10/10 holiday. We will definitely be recommending our friends visit Sabah and book their tour through your company. 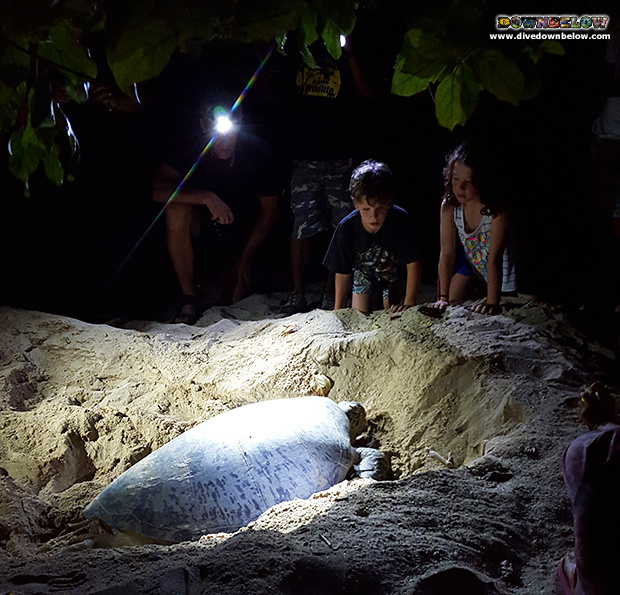 PS=This photo is of my two kids observing the turtle after she laid eggs! By Joanne Swann|2015-08-25T11:14:35+08:00August 25th, 2015|Guestbook|Comments Off on Fleming family at Selingan Island!